TOURING PACKAGE: PORSCHE 911 GT3! 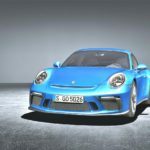 Posted in Porsche 911, Porsche GT3 Touring	Tagged Carrera 4, Carrera RS, Frankfurt Auto Show, GT3 Cup, PCCB, Sport Chrono Package, TOURING PACKAGE: PORSCHE 911 GT3! 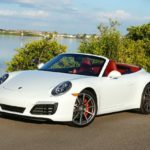 ’17 PORSCHE 911 CARRERA S: THE EVERYDAY SUPERCAR! SPEED RACER: PORSCHE BOXSTER SPYDER! SHOP TOUR & PIG ROAST: THE DIGITAL DRIVE! PORSCHE 911CARRERA GTS: RENNSPORT REUNION EDITION! PUT-IN-BAY (PIBRRR): ROAD RACES REUNION! AULT PARK: 38TH ANNUAL CONCOURS D’ELEGANCE! JEFFERSON 500: VINTAGE RACERS INVADE SUMMIT POINT! BMW, MERCEDES, PORSCHE: DEUTSCHE MARQUE CONCOURS!